Which Personality do you think left their imprint on the world in a positive way in 2018? Radio Romania International Just want to know the answer of this question from you. 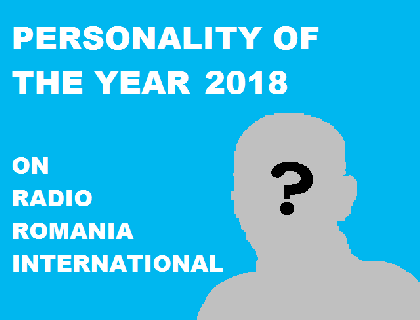 RRI are preparing to designate based on the listeners and online viewers options, “RRI Personality of the Year 2018”. Who will this person be and why? The Personality of the Year 2018 on RRI will announce on January 01, 2018.